Are you sick of working so hard? Is doing all the things getting really old? I know how your feel! As a busy mompreneur it is easy to get bogged down by the never-ending tasks of business ownership and motherhood. That's why it's important to be intentional and systematic about what you're doing. 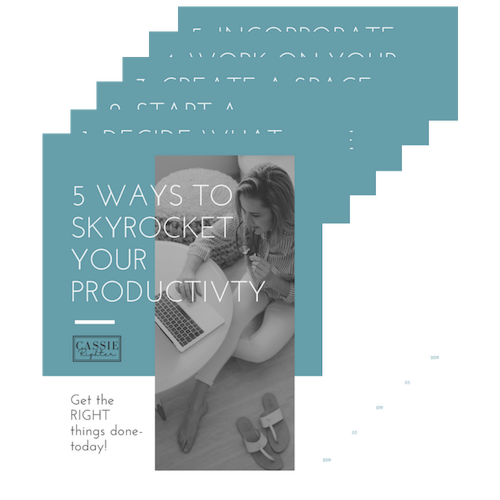 This guide, 5 Ways to Skyrocket Your Productivity will give you easy things you can do today to start getting the right things done so you can make more money! As a mom, business owner, educator, and author, Cassie knows how challenging it can be to balance all the roles mom bosses play. 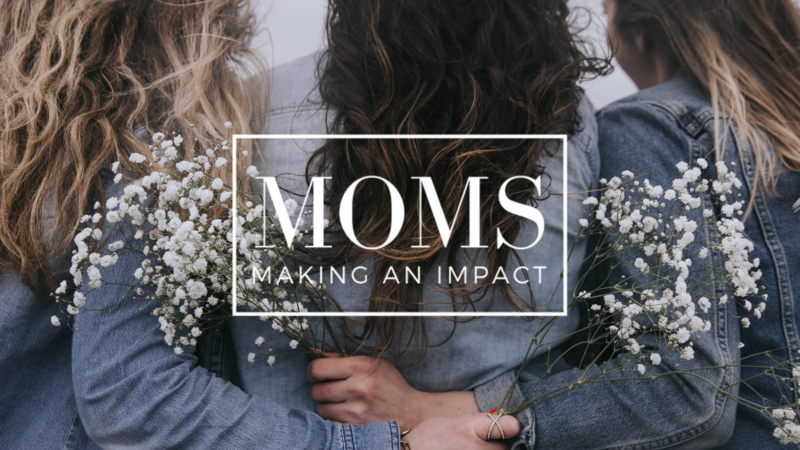 After learning how to find joy in both her business and family life while running a successful business Cassie has made it her goal to help other mom bosses do the same. Cassie works with driven mom bosses to improve their mindset and systems so they can grow their business and make more money. I am so excited you've decided to grab this free guide! Start by implementing one strategy per day and you will see HUGE results right away. By focusing on the right things your business can grow and you can make more money! Let's face it, being a mom boss is HARD! That's why I want to invite you to Join my FREE Facebook community, Moms Making an Impact. This closed Facebook Group offers free weekly training, promotion opportunities, and connection with other mom bosses working to grow their businesses. I hope to see you there!